Ever since the tourism boom in the 1980s, Bali had been Indonesia’s most popular destination. Tourists from all over the world come here to enjoy the beautiful nature, to relax, and even fly in to get married on one of Bali’s scenic beaches. Although Bali is part of the Lesser Sunda Islands, there are several other smaller islands in its vicinity, like Nusa Lembongan, Nusa Ceningan and Nusa Penida. The former is bound to be a hit for the 2019 seasons because it offers a break from all the hustle and bustle of the crowded mainland of Bali, while at the same time offering a nature to match. That is why you have to explore islands like Lembongan while visiting Bali and come well prepared. Like we stated earlier, Bali is a single island east of Java, but that doesn’t mean that the experience it offers is uniform. 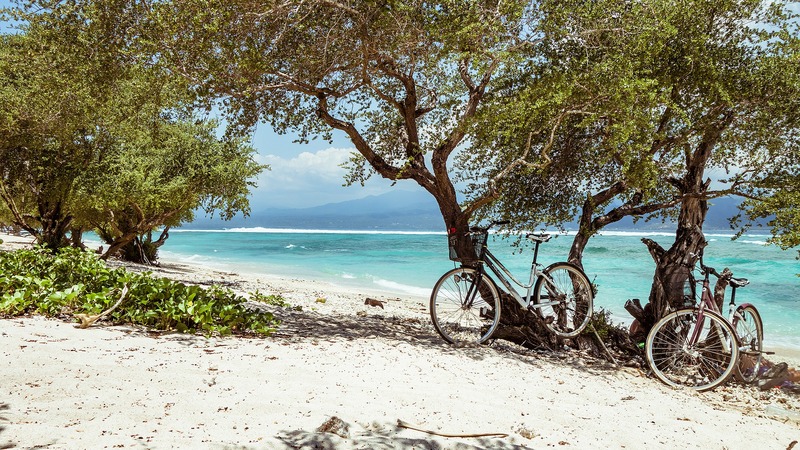 It is actually quite diverse, so whichever part of the island you decide to stay in, be sure to drive around and visits other parts of Bali or adjacent islands because you might enter an entirely different world. Diving among coral reefs, ancient Hindu temples, and beautiful sunsets: Bali has it all within a reasonable driving distance. The local tourists in Bali are Australians while for Europeans and American it is a faraway destination. That is why they rarely stay less than one week, which is a trend that Aussies too have adopted, perhaps because they like the island so much. On average, tourists stay two weeks on Bali, which leaves them with plenty of time to visit everything. There are even those who opt for a three week or four-week holiday but they have to adapt the itinerary to allow for more sites to visit and more activities to take part in. In essence, even if you are staying on Bali for an entire month, make sure to plan your stay in advance. The last thing you need is being bored in paradise. Before we write anything about the places popular with tourists for various reasons, there should be said more about the aforementioned islet of Nusa Lembongan. Located at the southeastern tip of the island of Bali, it offers a unique kind of intimacy. Sandy beaches, forests, and mountains are all there but with less people trudging around. To complete the stay here, you can rent out any of the villas situated at the western part of the island run by Bali Villa Escapes who manage villas in other parts of Bali as well. They are all located at the beachfront, so you will have the beach with white sand practically all to yourself, as lazy beach bars there have fewer guests than on the mainland. This means that there will be plenty of time to relax in a hammock at the beach after taking a dip in the pristine clear waters surrounding the island. On the Bali itself, there are places for partygoers, families with or without children, and couples alike. For those who like culture, there is Ubud at the central part of the island that has scenic rice fields, waterfalls and an occasional café in which you can practice yoga. If surfing is your thing, then Uluwatu should be your destination of choice but you can ride the waves at Canggu or at any of the three islands we mention in the introduction. Jimbaran is the place for tasting fresh seafood and having dinner at local restaurants that prepare food from the ocean. Finally, Kuta and Legian are the party and shopping hubs of the island as there are numerous nightclubs and shopping malls here. What to do once in Bali? Whether you are visiting Bali for its nightlife or you simply need an isolated beach to chill out, trust us, you will find both. However, you might want to try other stuff, such as infinity pools or walks through nature. There are numerous picturesque beach clubs like the ones in Seminyak that offer all kinds of interesting activities. You can visit Hindu temples which are centuries old or learn how to cook local meals. In Ubud, there is a monkey forest where you can interact with primates and feed them, as they can become quite pesky if you come empty-handed. Yes, you’ve guessed right, their favorite food are bananas! As you are aware by now, Bali owes it global popularity to its diversity. One island and islets house so much fun and relaxation at the same time, that it is no wonder they receive millions of visitors each year. There is no typical tourist visiting Bali, like everybody, from families with small children, through partying college kids, all the ways to romantic couples, choose Bali as their dream location. The memories created here truly last a lifetime!